Raising awareness for more shelters to support the bond between the homeless and their pets. Pets of the Homeless Sydney is one way to recognise how animals make a difference in the lives of people. However, there are many inspirational programs that have connected animals with disadvantaged individuals to let them take control of their lives. Here are only three amazing programs among many that benefit both parties, all understanding the importance that animals have in the wellbeing of vulnerable people. If you find out about any others, I encourage you to share them! This nonprofit organisation works to promote and facilitate positive interactions between people and animals. 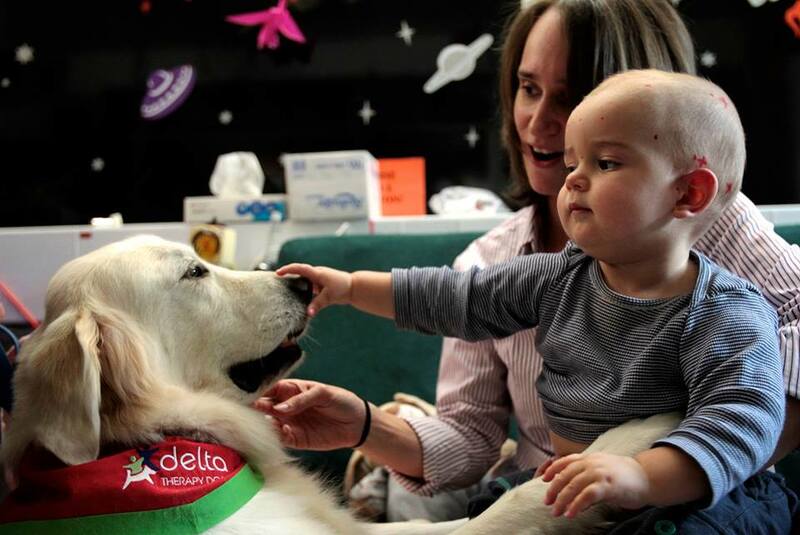 The Delta Therapy Dogs program brightens the lives of around 20,000 Australians a week in hospitals and care facilities. The dogs regularly visit health care facilities to provide the invaluable benefits of pet therapy. Across the country, over 850 facilities are involved in the program, including aged care, acute care hospitals for children and adults, mental health facilities, prisons and dementia care facilities. Hand2Paw is a nonprofit organisation in Philadelphia that brings together youth and animals to create mutually powerful outcomes. They help young adults between 18 and 21 to volunteer in animal shelters in the city, develop the skills of young adults to pursue employment through working with animals and educate youth on how to treat animals with respect. On top of this, the youth volunteers at Hand2Paw spend hours of time training, grooming and caring for thousands of shelter animals in the city. Puppies Behind Bars trains inmates to raise service dogs for war veterans who are wounded and also as law enforcement canines. At 8 weeks, puppies are introduced to their inmate puppy-raises, where they live together for around 2 years. Over this time, the puppies mature into loved, well-behaved dogs while those that raise them learn valuable life skills, contribute to society and enjoy the companionship of a loyal animal. The dogs give a sense of pride and responsibility to their raisers while going on to give independence and security to the wider community.